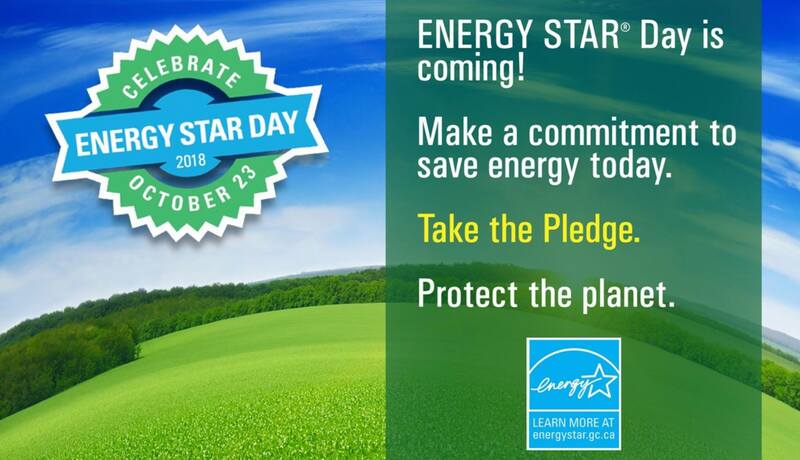 October 23, 2018 is #ENERGYSTARDAY. The purpose of ENERGY STAR Day is to raise awareness of the important role that energy efficiency plays in helping Canadians combat climate change; and to celebrate the great strides stakeholders and citizens have made together in saving energy. If there’s one day to sing the praises of the role that ENERGY STAR plays in Canada’s energy efficiency efforts, it’s this one. Not sure where to start? Visit the Energy Star website for some great suggestions!